My current skincare | escaped. If there's one thing I love at the moment, it's gotta be this. My skincare products weren't helpful at all, neither did cheap pharmacy products I used to get from Guardian and Watson. So I went to Sephora, totally had my white flag in the air and asked the salesgirl there for help. 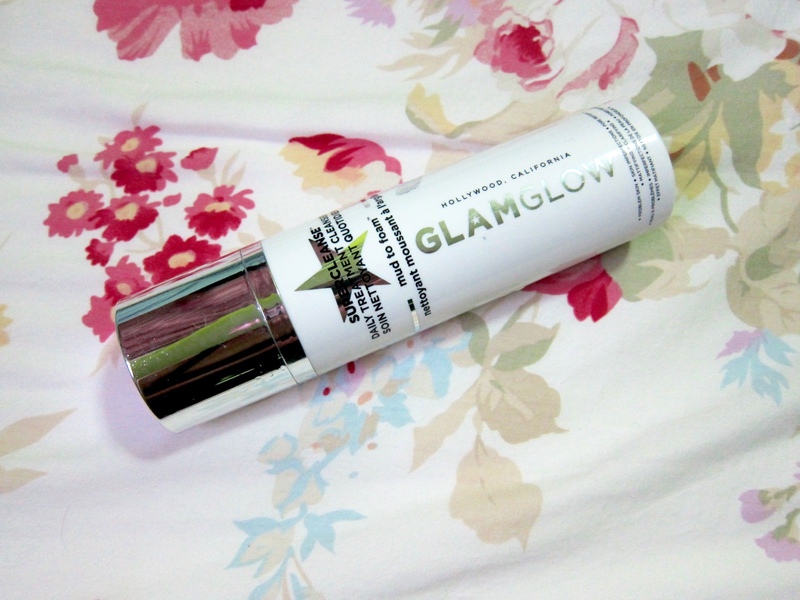 GlamGlow Supercleanse Daily Clearing Cleanser. Why too many 'clean' in a sentence, you ask? Well because that's what it does, basically. My face has never felt so clean, afterwards! Being skeptical at first, I wonder if this foreign product (I'm used to Clinelle, SKII, Clinique, Dermalogica, etc..but have never heard of GlamGlow before) could save the state of my skin. So the salesgirl squeezed the bottle, deposited a small drop of the liquid on my hands..and it actually was mud. I was even more skeptical. "Trust me, it really works!" So she rubbed my hand where the black gross-looking "mud" were. It turned to foam, and..my skin felt "minty" afterwards. And looked so clean compared to my other hand. Later I learned that that's what it does, because of the ingredients. Didn't bother to check what the ingredients were, but it just felt so refreshing I had to try it. Bought one full tube, prayed to myself that I'd at least finish half of it before having new-product breakouts. That was months ago. Today, I just went to Sephora to get a new tub because the first one was finished. My skin has cleared from post-pregnancy breakouts (currently I only have one bump on my nose because my period cycle has started hmph) and it's been better for months! If you're migrating to new products, I'd suggest you try this. Retails at Sephora for RM149. If you're a Sephora member, you're entitled to 10% off!